It is not a news that right now, MTN keeps sending messages that can annoys you to a certain level where you can violently throw away your phone or you do something stupid, today, all that is going to stop. We all know how annoying it is to receive lots of spam messages from MTN everyday. Thankfully , there is a new way to block those messages ; FOREVER!. All you have to do, in order to avoid doing silly things at the end of the day, just follow the below steps. 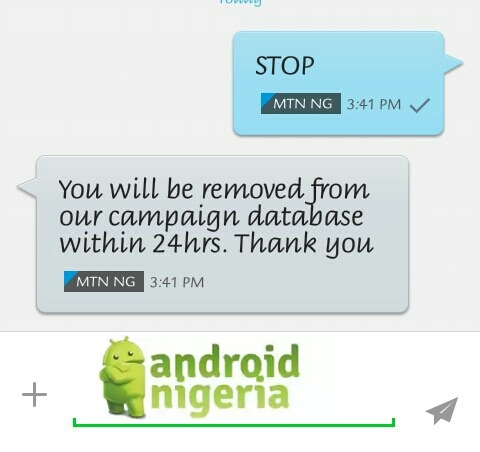 "You will be removed from our campaign database within 24hrs. Thank you"